What’s On the Menu? Christmas Dinner in Hawaii? Kalua Pig: The word, “kalua” is actually a traditional Hawaiian cooking method that utilizes an imu, a type of underground oven. You can cook any type of meat in the imu, but most popular is pork. Since cooking meat in an imu takes many hours, this is one item you may want to purchase (or simply cheat and use a contemporary oven). Poke: Poke is a raw fish salad usually served as an appetizer. The word, “poke” is the Hawaiian word (a verb) for “section” or “to slice or cut.” The most popular type of poke is ahi poke, which is generally made with yellowfin tuna. But, these days, chefs are getting more creative and using proteins, such as raw salmon, smoked octopus, and different types of shellfish. The term, “poke” can also apply to any bite-sized appetizer seasoned with the common “poke” seasonings. Poi is a traditional Hawaiian dish that is made from taro. 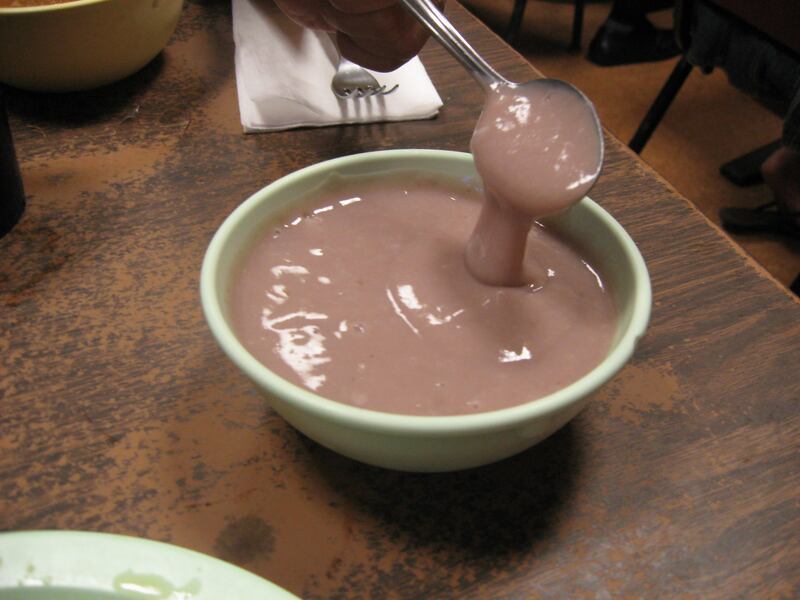 Some people eat their poi mixed with sugar, to balance out the earthy taste of the dish. Lomi-Lomi Salmon: Lomi-lomi salmon is a side-dish for your Christmas luau. It is a fresh tomato and salmon salad and was introduced to Hawaiians by early western sailors. It is typically prepared by mixing raw salted, diced salmon with tomatoes, sweet gentle Maui onions (or sometimes green onion), and occasionally flakes of hot red chili pepper or crushed ice. It is always served cold. Other variations include salmon, diced tomato, diced cucumber, and chopped sweet onion. Poi: Love it or hate it, poi is here to stay! A Christmas luau wouldn’t be complete without a bowl of poi at the table. Poi is made from the underground plant stem or corm of the taro plant (known in Hawaiian as kalo). Poi is produced by mashing the cooked corm (baked or steamed) until it is a highly viscous fluid. Water is added during mashing and again just before eating to achieve the desired consistency, which can range from liquid to dough-like. As such, poi can be known as “one-finger,” “two-finger,” or “three-finger” poi depending on the consistency, alluding to how many fingers are required to scoop it up in order to eat it. Poi can be eaten immediately when fresh and sweet, or left a bit longer to ferment. Laulau: The traditional preparation consisted of pork in wrapped taro leaf. In old Hawaii laulau was assembled by taking a few luau leaves and placing a few pieces of fish and pork in the center. In modern times, the dish uses taro leaves, salted butterfish, and either pork, beef, or chicken and is usually steamed on the stove. In the classical preparation, the ends of the lualau leaf are folded and wrapped again in the leaf. When ready, all the laulau is placed in an imu. Hot rocks are placed on the dish and covered in banana leaves and buried again. A few hours later, the laulau is ready to eat. Haupia: When it’s time for something sweet this Christmas, many people who live in Hawaii enjoy their haupia! 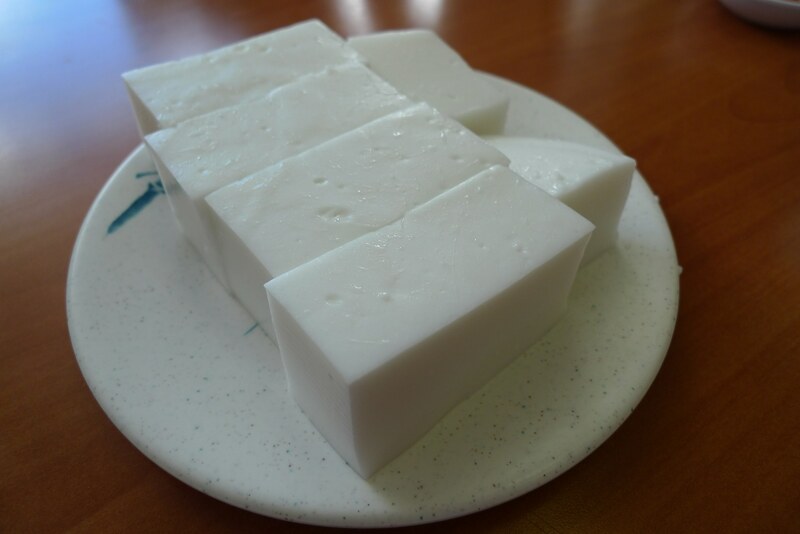 Haupia is a traditional coconut mil-based Hawaiian dessert which is served in gelatin-type cubes. The traditional Hawaiian recipe called for heated coconut milk to be combined with pia (Polynesian arrowroot). But, in the typical modern recipe, diluted coconut milk, sugar, and salt is mixed with arrowroot or cornstarch and heated until thickened and smooth, then poured into a rectangular pan and chilled as with gelatin. It is traditionally cut into small blocks and served on squares of ti leaf. Haupia is a traditional Hawaiian dessert that is cut-up into cubes. The dish is made from coconut milk and has a gelatin-type consistency. Want to try some of these foods, but not for Christmas dinner? No problem! Book the Aloha Plate Tour through Hawaii Aloha Travel, and follow your taste buds around Oahu. Your guides will take you to some of the most “local” places on the island to try some — or all of these local dishes. Christmas dinner in Hawaii may not look a whole-lot like other holiday meals around the globe, but it’s just as tasty and certainly as traditional. So, make your way to the nearest Christmas luau and indulge in the island flavors that make the holidays so special here in Hawaii!